Bodum started its operations in Denmark in 1944 and set a standard for beautifully simple, practical design. In essence this 100% family owned company strive to make thing easy for us by creating products that enhance the flow of life. 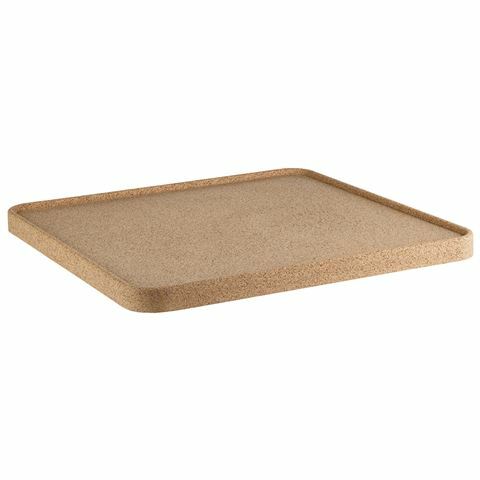 It makes a lot of sense to use a tray fashioned from cork. It not only feels good to hold but it’s ideal for use with hot foods with its excellent insulating properties. The warmth of its colour also makes food look more inviting. Perfect for indoor or outdoor entertaining, this is another Bodum product you’ll find yourself using every day. Crafted from 100% natural cork from the Mediterranean. Ideal for use with hot foods since cork is an insulating material. Wipe with a damp cloth to clean. Presented in a plain brown recyclable box. Dimensions:35cm (l) x 35cm (w).